Neuropsychiatry (London) is indexed in the quality indexing sites such as Science Citation Index Expanded (SciSearch®), Scopus, EMBASE/Excerpta Medica, EMCare increasing visibility and discoverability. Neuropsychiatry is an important branch of medical science. Considering the clinical aspects and its close association with behavioral neurology, Neuropsychiatry journal aims at updating researchers, clinicians and academicians with most recent information on every aspect of neuropsychiatry. The journal provides a platform for exchanging and sharing the latest developments in the relevant area. 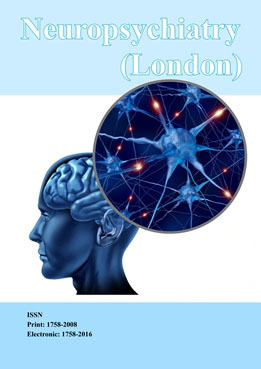 Neuropsychiatry (London) publishes peer-reviewed articles on a wide range of topics including neuropsychiatric disorders, clinical neuropsychiatry, cognitive neuropsychiatry, neuroimaging etc. Submissions are subjected to double-blinded peer review before they are accepted for publication. 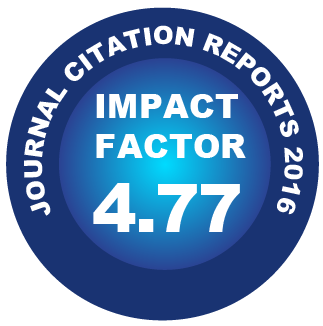 The journal accepts articles in the form of research, review, short communications, case reports and image articles. This is an open access journal providing easy access to its viewers globally. Background Psychosis associated with epilepsy is one of the temporal and frontal lobe epilepsy (TFLE) forms of presentation. Non-convulsive epileptic status (NCSE) clinical features are s..
Background Alzheimer’s disease (AD) is an irreversible neuro-degenerative dementia that causes emotional disorders such as anxiety and depression associated with low well-being and .. Objective Genetic polymorphisms and mutations in candidate genes are considered important in the etiology of autism, and particular interest is focussed on the serotonin system. Here, we ..
Background We report the first documented case of visual hallucinations with disembodiment and selfmotion illusion on eye closure. Clinical presentation A 71-year-old woman was oper.. Pain and neuroinflammation are protective responses aimed at preventing and removing injurious stimuli. However, when prolonged, they can override the bounds of physiological control and bec..